Have you ever seen a polar bear in New York? Well this may be your lucky chance. Lionsgate presents a Splash Entertainment production. Watch the trailer and get ready for some laughs. Your little ones will certainly enjoy this film. 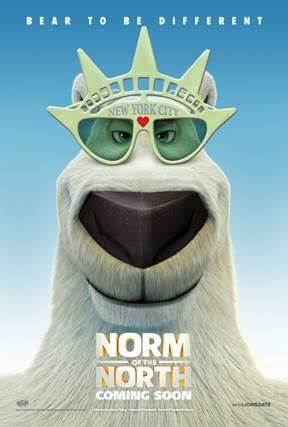 The fun doesn't end when the movie is over, check out some other Norm Of The North fun activities here.